The winds of change are blowing, in the land of MMORPGs. First it was the great shift to free-to-play, and now we’re seeing the reemergence of sandbox-style MMOs. Now, the tired old high fantasy settings are being steadily diluted by an influx of science-fiction games. 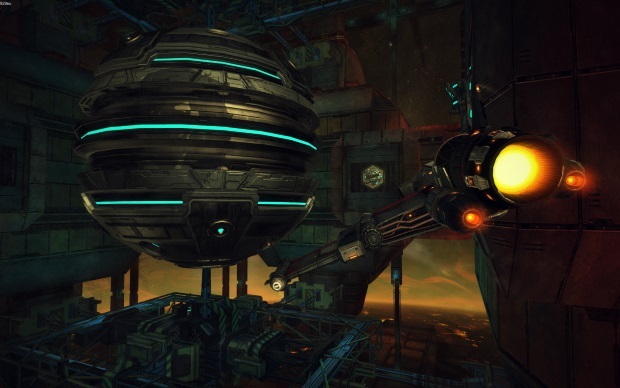 Though some are arguably more or less sci-fi than others (Wildstar is decidedly earthbound), but the shift is there. Developers are seeing people getting tired of the same old garbage recycled over and over, and new titles reflect that. Entropy Online is a promising new contender in the field. I had the pleasure of sitting down with Andy Butcher, the resident Man with a Plan for the project, and we discussed this upcoming title and everything it is and intends to be. I was able to watch a private video discussing the game’s systems and showing a great deal of gameplay footage, and there’s no denying that it looks slick. Of course, the first thing I thought was that it strongly resembled CCP’s niche hit, EVE Online. That market seems plenty cornered, and it’s not terribly big to begin with. 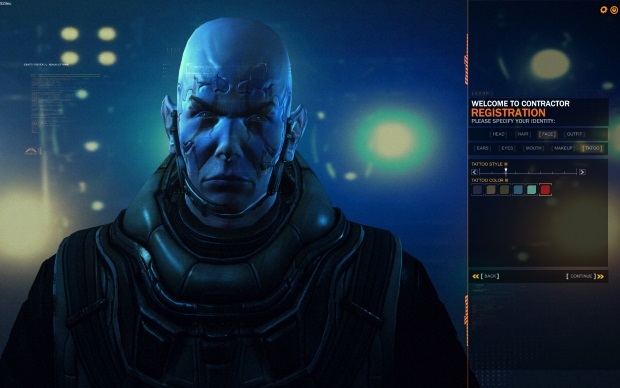 So, I had to ask Mr. Butcher what distinguished his game from EVE Online, since they both look so similar at a glance. Apparently, the similarities are only superficial. The actual core gameplay of Entropy Online is far more involved. Whereas EVE Online and games like it require the player to execute combat and maneuvers through a series of clicks, drags, and spreadsheet manipulations, reducing combat to an impersonal, number-crunching slog that most would find dull, Entropy Online just goes for it. They give players manual control of their ship in combat, making reflexes and player skill an actual factor. The game plays like a flight-simulator in space. The demographic this style of play targets are those who have fond memories of classic space games like X-Wing/Tie-Fighter, Privateer, and others. Since this is an MMORPG, the social experience is also a big part of play, and PVP makes up the cornerstone of it all. But it isn’t just ship-to-ship combat you’ll be engaging in with other players. The biggest form of competition is economic. Mining, trade speculation, shipping, and even pirating are just a few examples of how players will get after each other. Character progression is largely economic, with skills and levels being more an indication of how long you’ve been playing as or investing in a particular character. Far more important than a character sheet is your bank account, with wealthy players able to afford the best toys and wrangle the most support. More money is more options, more opportunities, and more potential allies; Entropy Online is shaping up to be a savage, capitalist jungle. Despite this, Mr. Butcher was careful to emphasize that casual players are not considered non-persons in Entropy Online. The game is very much designed to support those who wish to only play an hour or two (or less) at a time. Pouring six hour binges into the game is not necessary to make meaningful advancement. There’s a story there, too, for those interested. Entropy apparently takes place in the far future, after a mysterious event called “The Shutdown,” a period during which every artificial intelligence created by humanity simultaneously ceased functioning. The reasons for this are unknown, and centuries later, the vast human colonies spread across space are entering into a dark age without the logistical aid of synthetic life. Roleplaying and immersion are somewhat important to the creators of Entropy Online, but avatar-based play is a long ways off, if it ever arrives at all. 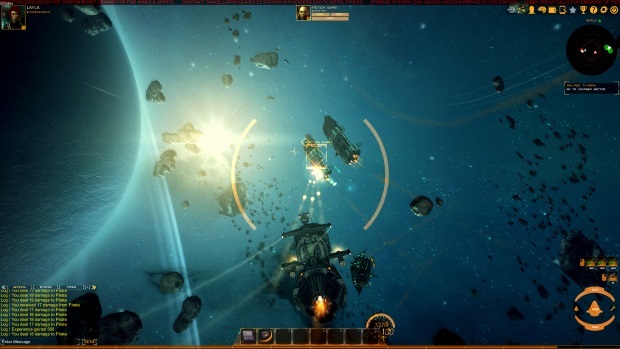 Mr. Butcher emphasized that the ship-based gameplay is the heart of the game, and that ultimately, it is a game about space-faring and space combat. Players are able to customize a personal avatar utilizing a sophisticated system of sliders and cosmetic options, being allowed to give the story to their character as they see fit in their own imagination. But social venues where players can exit their ships, walk around, interact, and perhaps roleplay, are a distant dream. But, all is not lost for would be socialites. The guild system in the game, called ‘Cartels,’ is the central jewel in the crown of Entropy Online. Cartels are intended to have the ability to create space stations, and even claim vast tracts of neutral space as their own. Empire wars, the likes of which have been seen in EVE online, are slated to be a central part of the game’s long-term competition and PVP conflict. With ships being on a much smaller scale than EVE Online, and manually controlled, one can only imagine how these fights might take place. Will they be elaborate, exciting skirmishes? Or will they be frustrating, laggy swamps of frustration? Time will tell. My overall impressions of Mr. Butcher and Entropy Online were positive. Despite my disappointment at the lack of inclusion of social, avatar-based venues, the engaging combat and core gameplay seem like a breath of fresh air for a genre that’s largely dominated by slow-paced, point-and-click ship combat. The takeaway of the interview was that Entropy Online should show players that an MMORPG doesn’t have to be an on-rails experience, and that freedom of choice and progression can be a part of the experience. I have to agree. We haven’t even begun to tap into the potential of this genre. Entropy Online promises to be one step closer to the next phase of MMORPGs, where player agency and storytelling trumps hand-holding and theme park play. Thank goodness.